The following article contains spoilers for Metal Gear Acid. You know how the saying goes: “Fool me once, shame on you. Fool me twice, shame on me.” Although I have a less-than-great track record of following stories in games, I like to think that I’m pretty savvy when it comes to games getting a leg up on me. If someone’s trying to pull a fast one, I’m fairly likely to catch it. This was totally not the case in the PSP game Metal Gear Acid. Playing through Metal Gear Acid last year marked my first venture into the Metal Gear universe, and let me tell you, it was quite a ride. The one thing I knew going in was that Metal Gear games are renowned for their odd, convoluted, and plain ol’ strange stories. So I expected the be thrown a number of curve balls throughout. But there was one pitch that I completely missed. Upon the reveal of the ruse, I felt doubly silly because the shtick had been going from nearly the game’s start. And that shtick came in the form of Clown (or La Clown), a master of disguise and one of the game’s major villains. 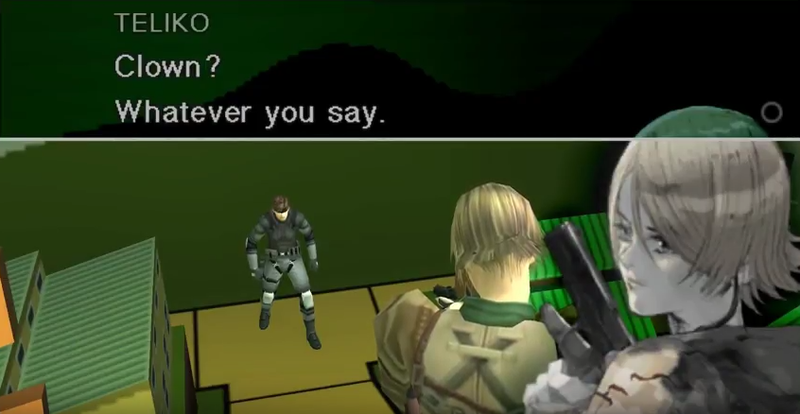 Early on in Metal Gear Acid, an agent named Teliko appeared in the middle of completing a mission. She ends up being captured, and quite literally within the first five minutes of the game, Clown’s name is mentioned by one of her captors. I wish I had remembered this some dozen hours later. Since the game identified the woman as Teliko, I figured “Swallowtail” was some sort of code name, and I didn’t give it a second thought. 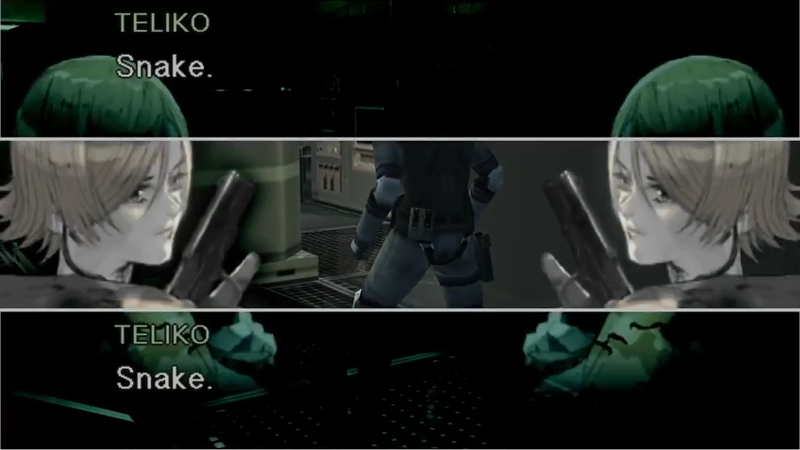 I was more concerned with that fact that Teliko joined Snake, and then I was in charge of two playable characters. BETRAYED! 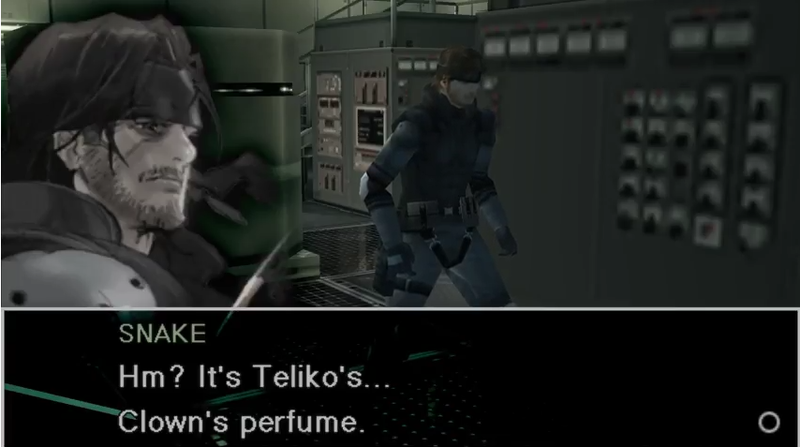 And of course after Snake had given Teliko a very important data card. Of course. Considering that the game had been full of oddball scenarios up to that point, I don’t know why that was a moment I didn’t see coming, but upon seeing “Teliko” run away with the very important data, I felt like a total fool. With her perfect disguise, she tricked me (and Snake and everyone) good, alright. Adding insult to injury, Snake later met up with the real Teliko in a real-life board game (no, really) that was set up by Clown specifically to hinder Snake’s progress. 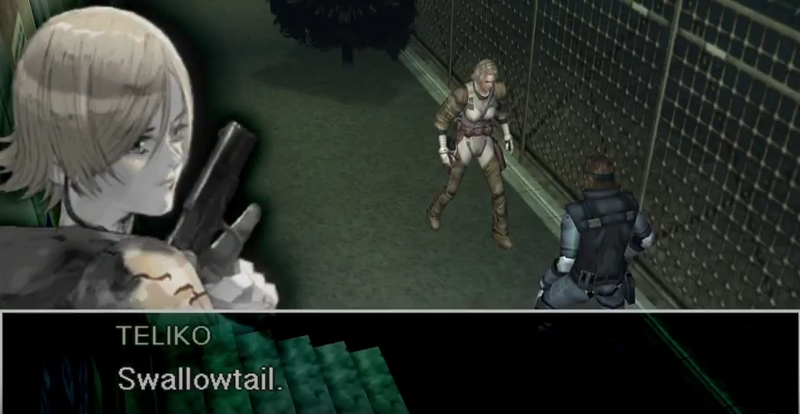 The only problem was that Teliko couldn’t remember who she was, and Snake naturally mistook her for Clown. Talk about confusing. But the game, of course, had a brilliantly terrible ace up its sleeve. 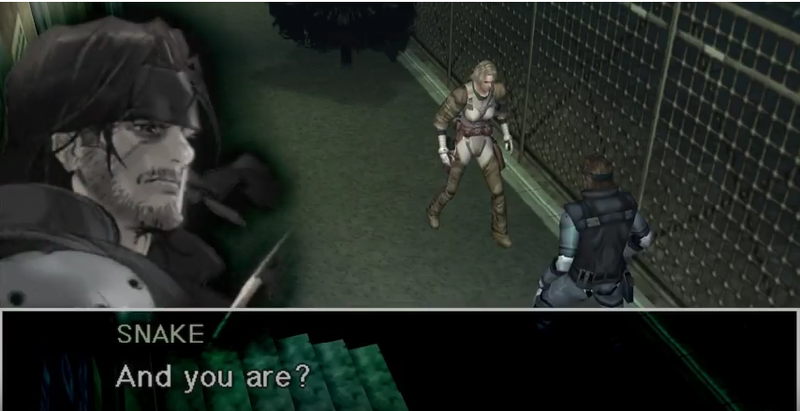 Later in the game, Snake and Teliko became separated, and just before Snake’s final throes with the final boss, he meets up with her…and Clown. Oh. My. Goodness. 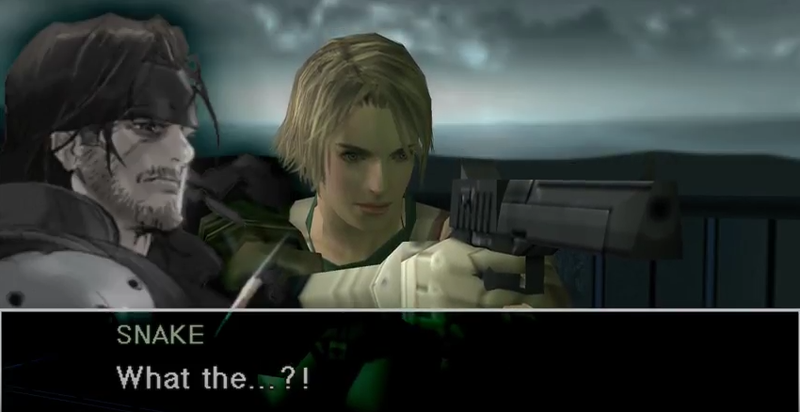 Telling the two apart during the game’s penultimate battle was next to impossible, but Snake eventually took the upper hand. Once again, of course the game wasn’t going to make getting to the endgame easy. Of course. In fact, it only made me feel more fooled than before, thinking that I must have missed some distinguishing characteristic of Clown that would help tell her from Teliko. 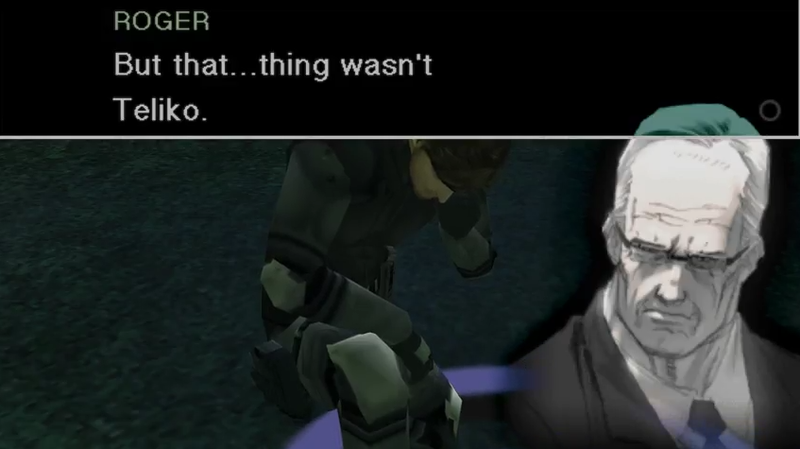 Oh, Metal Gear Acid…you…you were a sly one. Metal Gear Acid fooled me quite fiercely with Teliko/Clown’s double-dealing, though, if you played the game, you know that it’s main story was much dastardlier and twisted than Clown herself could ever imagine. 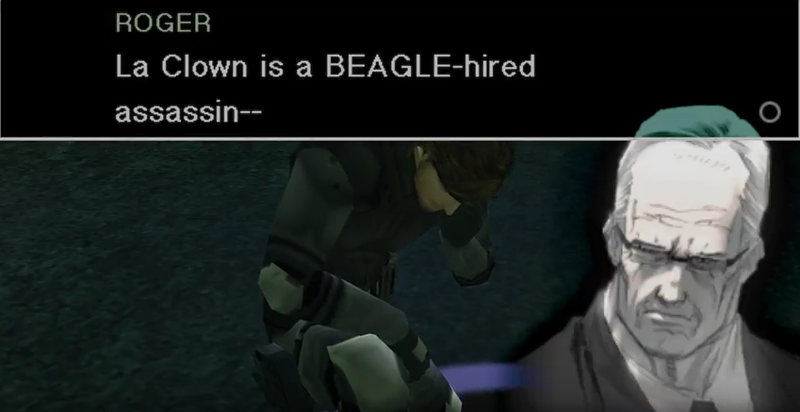 Just goes to show that you can’t trust anything in the Metal Gear universe. And how wonderfully so. For my second #AprilFoolsMonth post on Virtual Bastion, I covered that time I was more fooled than I had ever been in a game, all thanks to the assassin named “Clown” in Metal Gear Acid.